As the men's race comes to a close, the women gear up for a milestone. camera (Jonathan Nackstrand/AFP/Getty Images) Kathryn Bertine is pictured on Sept. 20, 2011 in Copenhagen. 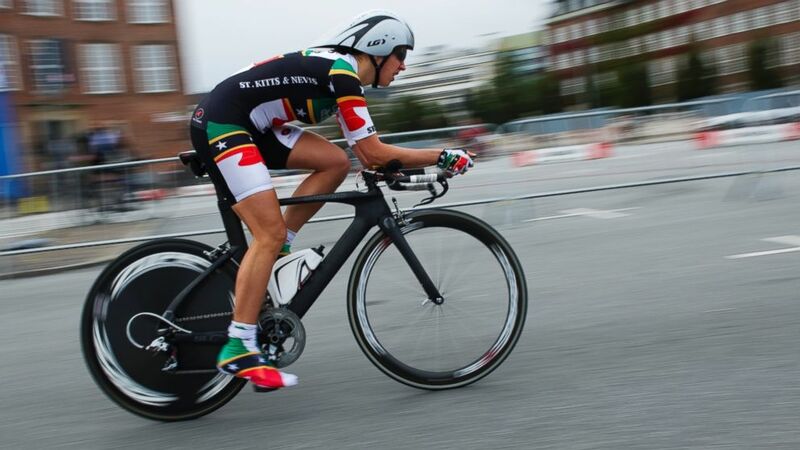 As male cyclists compete in the last leg of the grueling Tour de France on Sunday, women cyclists are set to compete on the same day for the first time in 16 years in their own race, dubbed "La Course." Female cyclists and their supporters have been pushing for a women's race in the Tour de France. Nearly 100,000 people have signed a petition organized by a group called Le Tour Entier calling for a women’s race in what has become professional cycling’s marquee event. Supporters are hoping that this year's single-stage race for women is a harbinger of a multi-stage tour to come. Here’s how the courses stack up this year. The Tour de France, a 2,200-mile race first organized in 1903, has been a men’s-only competition for over a century, with 22 teams competing this year in 21 day-long segments. 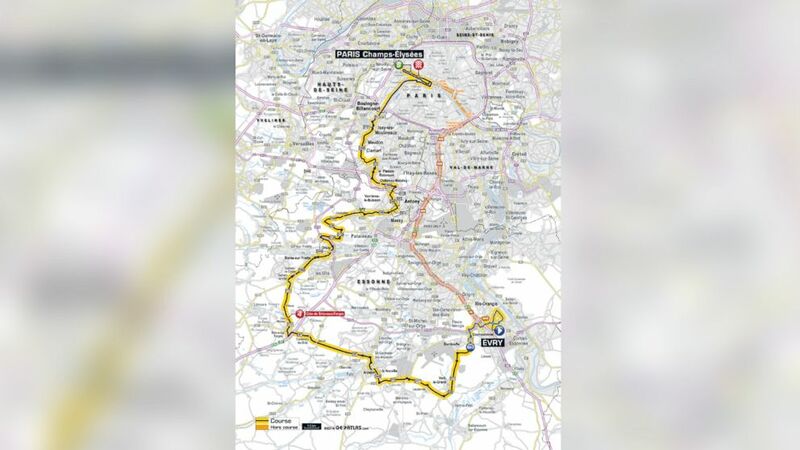 In the final stage of the Tour, men will be cycling 133.5 kilometers, or almost 83 miles, from the city of Versailles to the iconic Champs Elysées in Paris, vying for a first-place prize of €22,500, or roughly $30,222. But the overall winner -- based on a cumulative time over the 21 days -- has been all but decided, with Italy's Vincenzo Nibali emerging as the likely victor. (Le Tour de France) The men's course for the Tour de France. There will be 120 women from 20 teams -- including three American teams with six cyclists each -- competing in the first edition of "La Course by Le Tour de France." 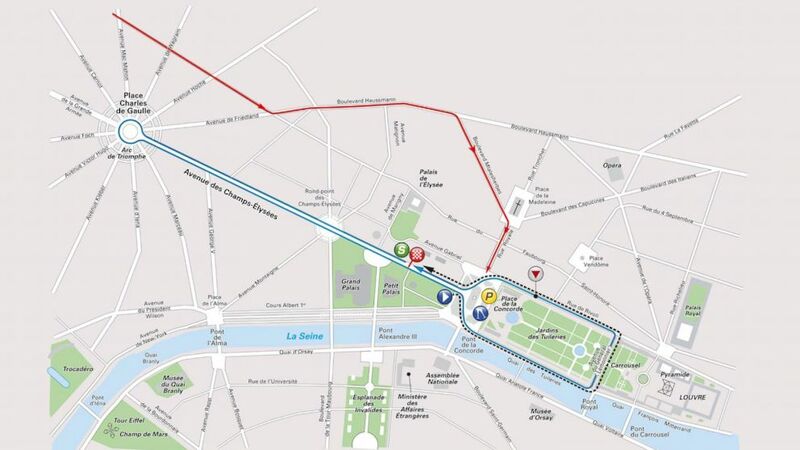 It's one-day race that will run down the Champs Elysées and cover a total distance of 90 kilometers, or 55 miles, in thirteen laps. The first place prize for the women is the same as that for the men in Le Tour de France, €22,500. (Le Tour de France) The route of La Course de France, the women's race run by Le Tour de France.